Tom Reaney is a Bainbridge Island travel agent and specialist on trips to Mexico. 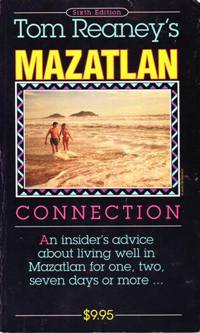 His book Mazatlan Connection (7th edt. published in 1998) is a valuable guide for both new and repeat visitors to the city. The Seattle Times describes the book as "lots of useful, practical information on Mazatlan - including hotels, restaurants, and beaches", and The Bainbridge Review says that "Reaney describes Mazatlan until the urge to jump on a plane is almost irresistible."